How do users perceive your homepage and navigate your categories? This study on e-commerce homepage and category navigation is the culmination of 2 years worth of usability testing and research, distilled into 61 usability guidelines. Product finding is key to any e-commerce business – after all, if users can’t find it, they can’t buy it. This original usability study focuses on how users navigate, find and select products on e-commerce sites. A group of users age 21-56 were recruited to test 19 of the leading e-commerce websites across 8 different verticals (mass merchants, apparel, electronics, jewelry, home decoration, toys & gifts, specialty equipment, and health & drugs). The tested pages and design elements include the homepage, category navigation, site taxonomy, category pages, and cross-navigation. Throughout the test sessions, the subjects would repeatedly abandon sites because they were unable to find the products they were looking for. Indeed, the subjects encountered 900+ usability-related issues, and this is despite testing multi-million-dollar sites. All of these usability issues have been distilled into 61 concise usability guidelines that will help you design a user-friendly homepage and category structure so your customers can find the products they’re looking for. This page provides you an overview of Baymard’s research specific to Homepage & Category Navigation UX. To accompany the usability test sessions we’ve also benchmarked 60 top-grossing US and European e-commerce sites across the 61 Homepage & Category Navigation usability guidelines. This benchmark has been conducted three times, first in October 2013 and latest in May 2018. This has resulted in a benchmark database with 10,980 homepage and category navigation elements manually reviewed and scored by Baymard’s team of UX researchers, along with more than 5,870+ categorized best- and worst-practice implementation examples from leading e-commerce sites. 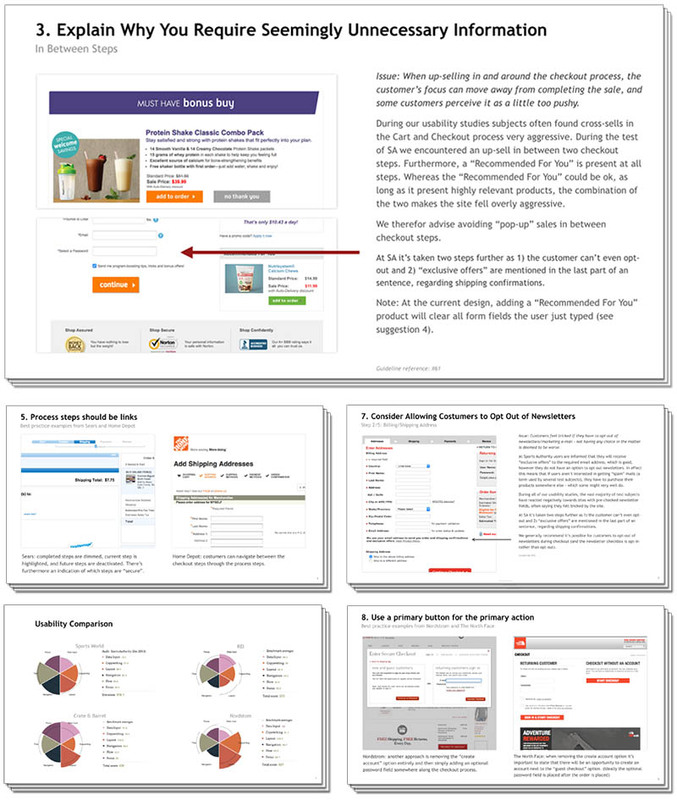 The Homepage & Category Navigational UX performance for the average top grossing US and European e-commerce site is just above “acceptable”, with an impressive 7 of the 60 view) sites benchmarked having an overall “good” UX implementation and performance, and only 2 having substantial overall UX issues – with the “large middle” performing acceptable. 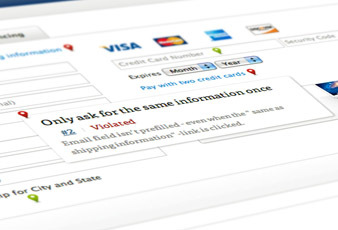 With that said, the benchmark dataset also shows that there’s still room for improvements when looking within the specific topics of the user experience – in particularly the UX within Homepage, Main Navigation, and ntermediary Category Pages, cause issues for many sites, with some generally “missed opportunities” within the e-commerce industry as a whole. Explore annotated design patterns across 672 examples of Homepage & Category Navigation designs and features from leading e-commerce sites, organized into 4 different categories. This is a great way to get inspiration for your own Homepage & Category Navigation design, and to get a feel for emerging trends in e-commerce navigation. The primary objectives of a site’s homepage, the opportunities it can provide to both new and repeat users, the homepage structure & design, carousels, personalization, and promotions. The structural foundation of a site’s product categories, including information architecture, catalog breadth, and category naming. The visual design of an e-commerce site’s taxonomy, including mega drop-down menus, the visual hierarchy, and courtesy navigation. How Intermediary Category Pages can guide users toward better-defined categories and products using inspirational paths, featured products, and curated content. How general site-wide elements should be designed and positioned, including considerations on newsletter dialogs, ad positioning, footer, and return policy links. What are the 15 most important changes you can make to your homepage and category design? 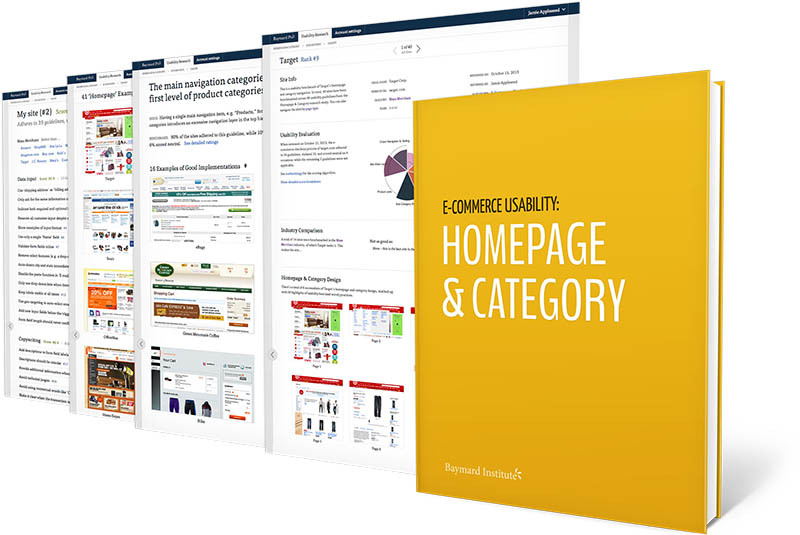 We will put together a detailed 40-page report of the 15 most important usability improvements you can make to your e-commerce homepage design and category taxonomy.